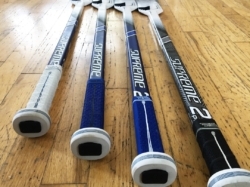 Another instalment to the Supreme composite goal stick has been added to the catalog this year, the Bauer 2sPro goal stick. I was lucky enough to pick mine up at Goalie Heaven Toronto back in August. The boys they were great to me and ever since I’ve been beyond stoked to use this model of stick. Is it worth the almost 400-dollar price tag? So it’s hands down the lightest stick ever made. 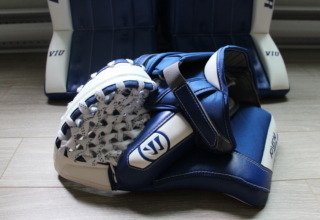 10% lighter than the previous generate 1S goal stick to be exact. Keeping in mind the 1S was the previous lightest on the market by far. Less weight to push the puck to the corners. 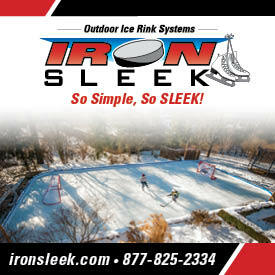 Less weight while making passes or shooting the puck. Honestly it doesn’t get any better than this. The combination between the weight of the stick, grip on the stick, and the torque/flex (87) makes this the best puck handling experience I have ever had in my life. Passes come off with more power than before, it’s almost like the flex of the stick helps propel the puck forward. It may sound dumb cause you see it all the time when players shoot but a goalie making a pass? Absolutely. 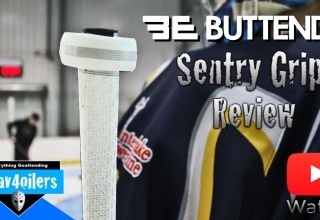 Deflecting pucks to the corner doesn’t get any easier than with this stick. It conforms nicely to a blocking or tight butterfly. 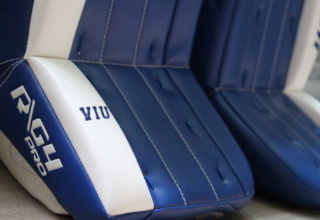 Most sticks don’t since the stick sits on the top of the pads but since Bauer gives the paddle a unique shape and design it works great. The front of the paddle is flat and provides the best possible rebound control, like every other supreme stick from years past. Also, the grip on the paddle is great again, much like the 1s. This is where we run into problems. So, my retail 2s Pro stick lasted me 3 weeks (about 7 or 8 ice times). 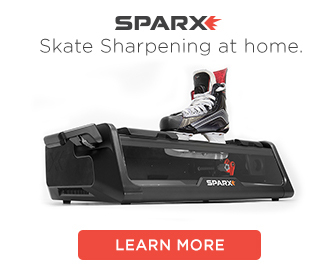 Considering the $330 retail sticker on it plus tax, that’s about 45 bucks per skate, plus taxes. Not a chance Is that worth it. 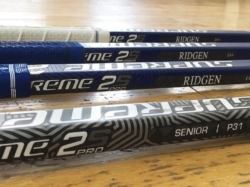 However, I am yet to see any issues with my custom pack of 2sPro sticks and that is with 4 hours a week of practice time on college ice. 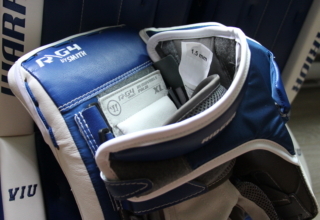 So custom options on a 2s Pro, or any previous Bauer composite stick is almost non existent. Colour on the shaft, 1 or 2 curve, 25/26/27 inch paddle options. Thats about it and don’t worry, even thought he price tag is 330 per stick plus taxes they don’t give you a discount at retail cause you’re buying bulk. My sticks were quoted at 8 weeks but after Bauer made the wrong specs for my sticks it took them just short of 13 weeks. Disappointing. Now Bauer’s warranty department has always been good to me, I’ve never had an issue claiming a warranty on a stick however Bauer did give me some push back this time, nonetheless. It all got resolved and I have a warranty stick that should be here any day. I’d be lying to you if I said I wasn’t concerned that my $1100 plus tax investment isn’t going to be worth it. I got 6 months of hockey remaining for the season and one of my biggest concerns is am I going to need to buy more sticks before the seasons up? I was told by a Bauer rep that custom sticks have no warranty so whether they break in 6 days or 6 months I am on my own. I will say that considering the performance and the fact that these sticks do genuinely enhance my game, they are worth a purchase. However, I am very skeptical that these will last. 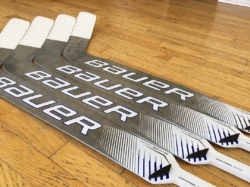 A different Bauer rep told me that they are the best lasting stick they’ve ever made, well that’s the reps job so I guess time will tell if that’s actually true or not As of this point in time I would say no.